Reema Carmona took her campaign against child marriage to the United Nations last month, where she also advocated for resources to address teenage pregnancy and HIV transmission from mother to child. Carmona, the wife of President Anthony Carmona, championed for the rights of women, children and adolescents at two meetings held by organisations during the 72nd Session of the United Nations General Assembly (UNGA) in New York. 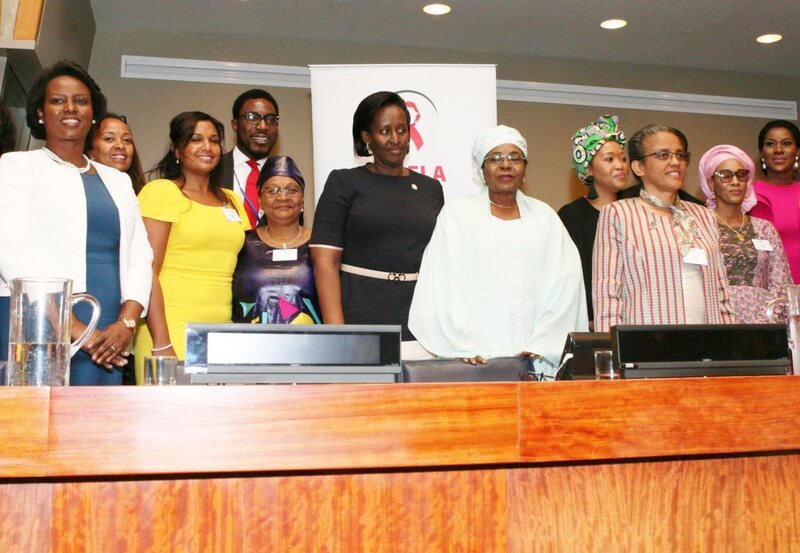 On September 19, Carmona addressed a conference hosted by the Organisation of African First Ladies (OAFLA) against HIV/AIDS. And on September 21, she received the Global Female Impact Leadership Award from the Centre of Economic and Leadership Development. On both occasions, Carmona called for equitable treatment of women and young people. It was at the OAFLA conference at the UN headquarters that Carmona spoke out on child marriage. “Children the world over, must be able to be just that–children,” Carmona said. “Children must be given the opportunity to play and dream and realise their aspirations, consistent with the United Nations’ 17 Sustainable Development Goals (SDGs). Carmona announced that on June 22, legislative reform in TT finally came by way of the Marriage Amendment Act, assented to by President Carmona. It was proclaimed as law on September 29. It is now unlawful for a child (boy or girl) under the age of 18 to marry. “Our collective advocacy had paid off and the future of our young girls and boys in Trinidad and Tobago has been made more secure by this legislation,” Carmona told the OAFLA conference. Also speaking about the treatment of the disabled, Carmona said she would call for a decade of observance of their rights from 2018-2028. The theme of the conference was Global Partnership Towards Harnessing the Demographic Dividend in Africa. 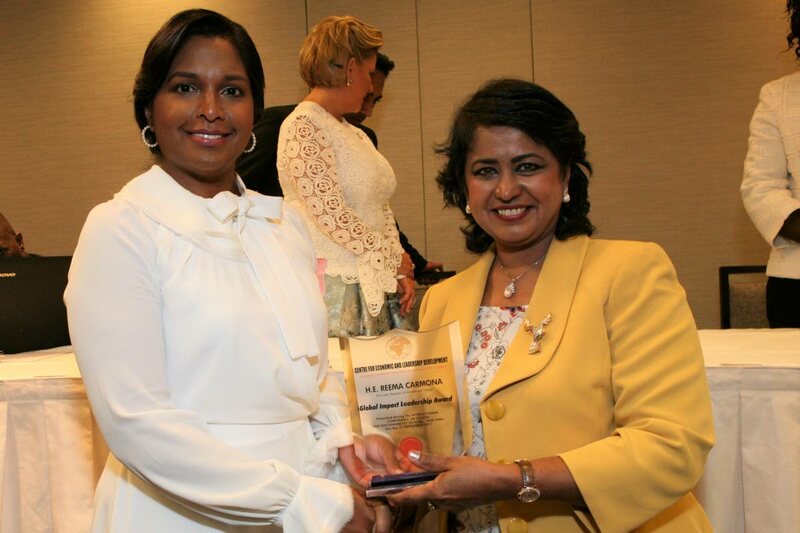 Carmona, as a member of the Caribbean First Ladies Network, said leaders’ spouses must foster partnerships for the improvement of all people. “Globalisation has been upon us and while each region’s issues may be myriad, there is dynamism in collaboration and co-operation,” she said. In providing support and in sharing some of TT’s progress with OAFLA, Carmona recalled some of her own experiences, one of which was the June 3 launch of an App developed by the United Nations Population Fund, through its Youth Advisory Group . Her work as patron of the Diabetes Association, in child obesity and non-communicable diseases prevention, autism awareness; and in championing the fight against child marriage were commended by the centre’s board. The centre hosted a conference on gender and sustainability in association with the UN Economic and Social Council. Carmona described her work as a journey for social empowerment and transformation of the disadvantaged, vulnerable and marginalised in TT and the Caribbean. Also receiving awards were Dominique Ouattara, First Lady of the Republic of Ivory Coast; Lorena Castillo de Varela, First Lady of Panama; Roman Tesfaye, First Lady of the Federal Republic of Ethiopia and Sandra Granger, First Lady of the Co-operative Republic of Guyana. Reply to "Reema champions women, children at UN"